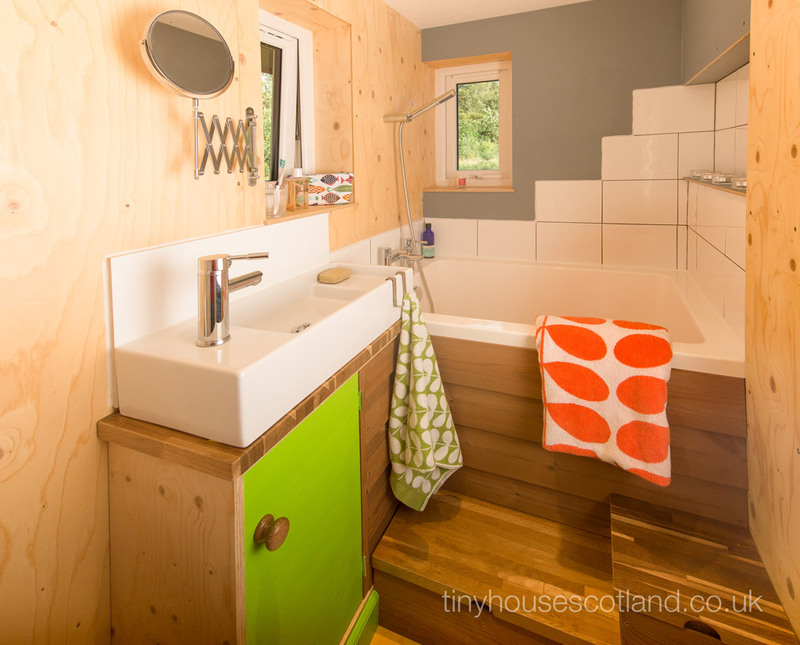 A modular tiny house in Edinburgh, UK. Photos © Jonathan Avery. 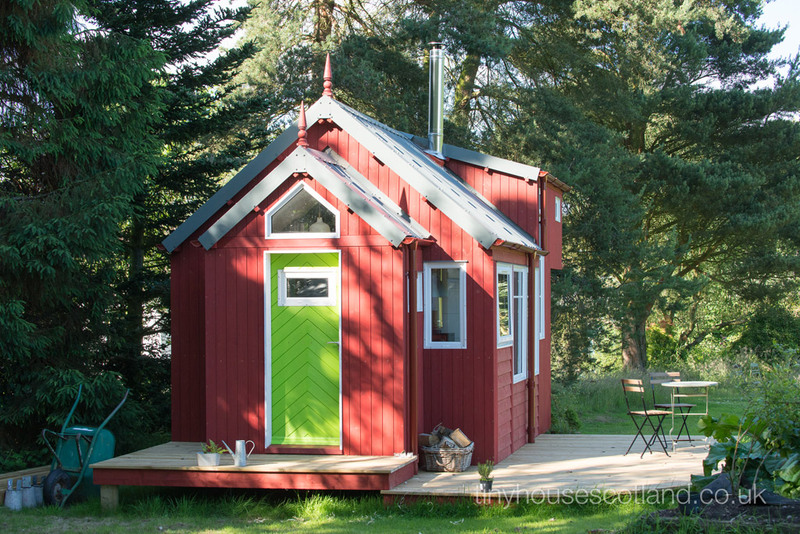 Built by Tiny House Scotland. All this and Scotland, too. Hoot-man! 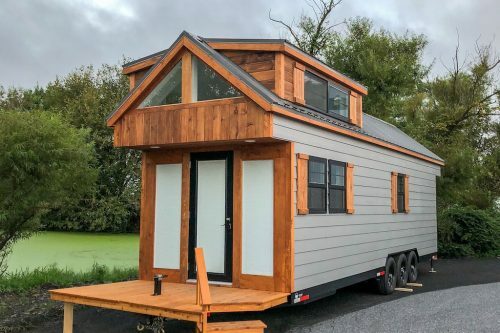 At last – a tiny house that looks like a tiny house. There aren’t any photos, but the toilet might actually have a door on it too. 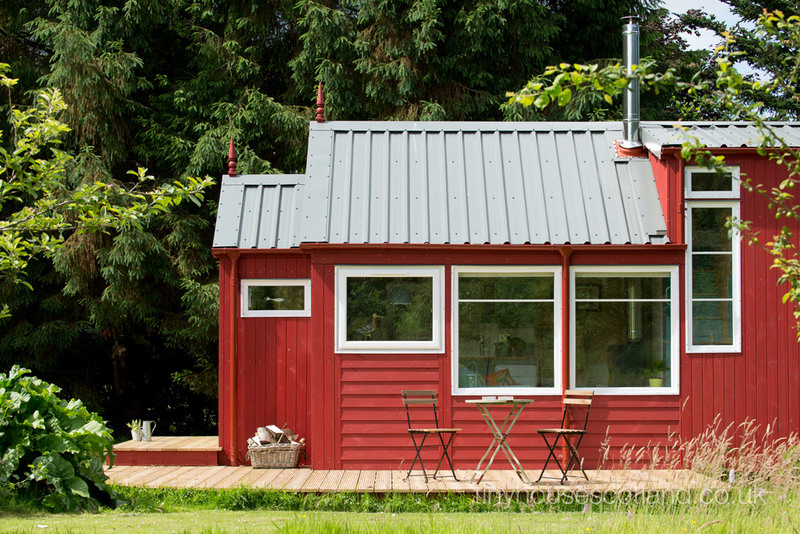 It looks like this could be a real home rather than a squat in an old portakabin. 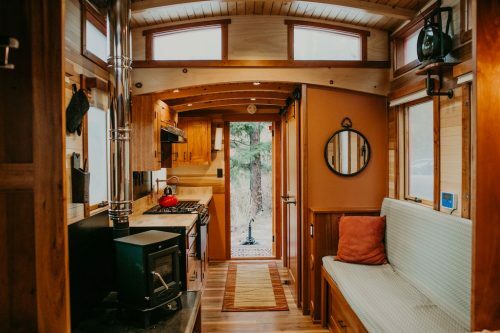 Best TH I’ve ever seen, do you rent it out, or is it for personal use? Beautiful. So beautiful! I wish you were in the US. Wow, this is really neat. Some outside the box thinking and building. 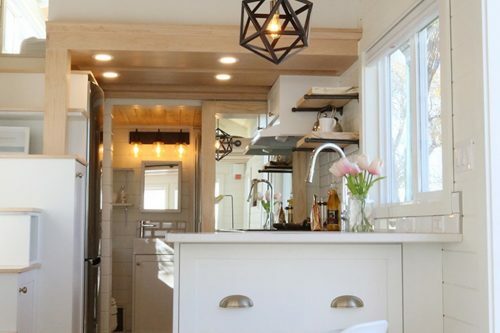 Feels open and airy and light inside. Great work . . . you should be proud. Very nice. Plywood! This place rocks the plywood! Also, the interior colors are great! I’d love to see your THOW plans! Your use of space and functional designs intrigue me, but we are going to be mobile. Wow!! Wow, Wow, Wow!! Somebody call an undertaker…cause I just died and went to Heaven. 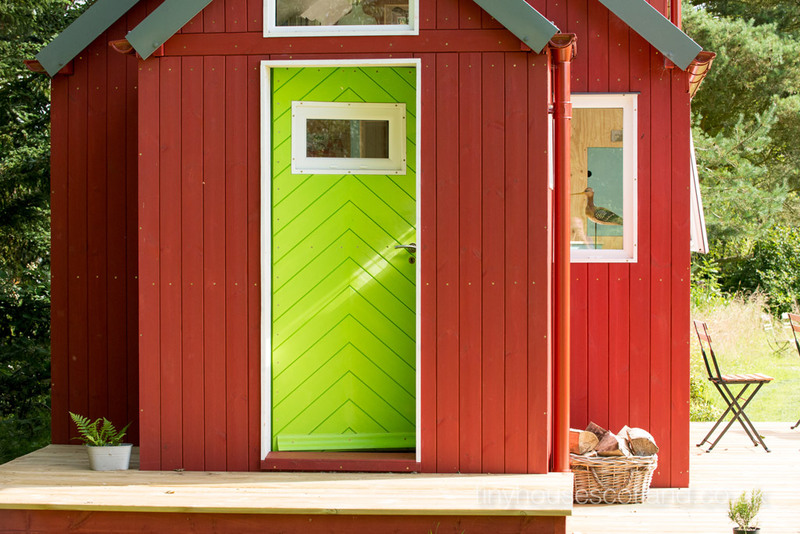 This is an amazing design – love the colors – the finished plywood is insanely cool! 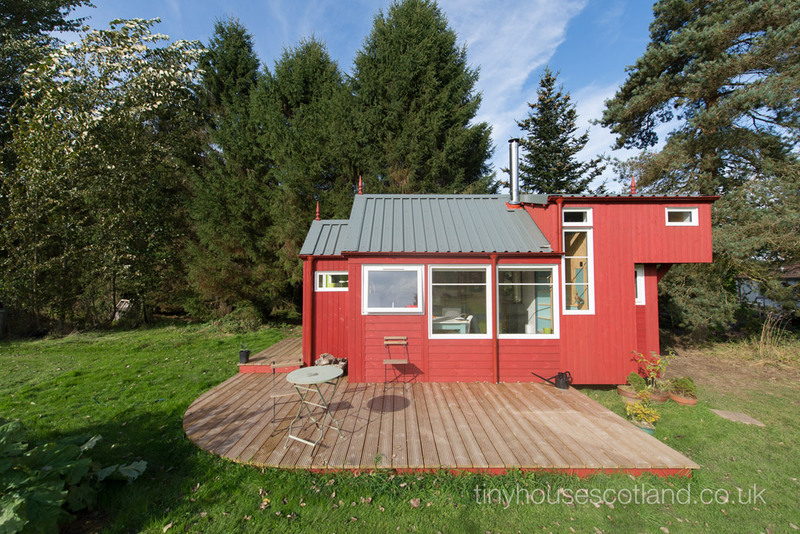 Greeting from Tiny House Scotland! Thanks you all so much for your great comments! I am deeply flattered and it makes the many hundreds of hours work worth it. 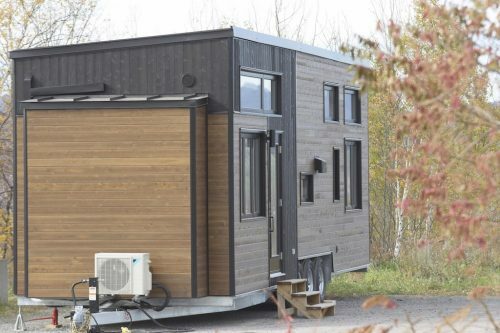 This was built as an experimental prototype and its also my office and showhome. 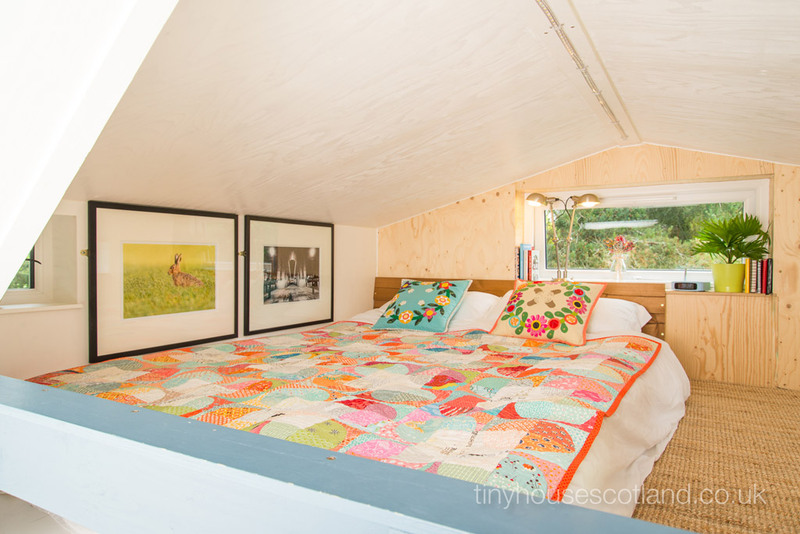 I have been asked by a social enterprise called Social Bite to help them with a Tiny House Village for Homeless in Edinburgh – you might have heard about it – Leonardo DiCaprio came over to fundraise a week ago – here’s the report from the Sunday Times http://www.thetimes.co.uk/edition/scotland/homeless-village-is-titanic-hit-l38wljpdx. We are going to build 10 houses based on the Nesthouse – you could help the fund raising here if you wanted to be kind…https://www.justgiving.com/fundraising/socialbitevillage.